It only took 200 years for the Seibert family to plant a vineyard on Knob Hall. 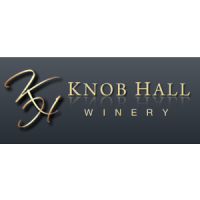 The Knob Hall Winery is a multi-generational winery with 43 acres of grapes now planted, maintaining a tradition of sustainable agriculture. . We are crafting higher-end, ultra-premium, award-winning “estate wines” in the Antietam Highlands of Clear Spring, Maryland. Choose Knob Hall for your party, conference, wedding, or weekend getaway. Made with our Vidal Blanc, this sparkling wine has a hint of citrus, similar to a brut- style sparkling. Made with our Chambourcin grapes, this is a dry sparkling wine. Dry and fruity bubbles. Sweet red wine made with our Chambourcin grapes. Great fruity flavor for a sweet red, slight bite at the end- hence it's name! Light body blush similar to a sweet Zinfandel style wine. Undertones of strawberries and raspberries. Perfect picnic/ summertime wine. A premium dry bold red wine with a dark ruby appearance, nice berry nose like raspberries with hints of vanilla from the French Oak. A premium dry red blend of all our red grapes. Petit Verdot, Cabernet Franc, Chambourcin and Merlot. Full bodied fruit, smooth soft finish. A full and bold, dry premium red wine made with our Petit Verdot grapes. A premium Bordeaux style dry red blend. 67% Merlot, 19% Cabernet Franc and 4% Petit Verdot. Plum and cherry with hints of pepper and a nice earthy finish. Similar to a Pinot Noir, this is a blend of 70% Chambourcin and 30% Vidal Blanc. Dryness from the Chambourcin, but with a slight sweetness. Fruity, light, less tannins. This is a people pleasing red for both dry and sweet wine drinkers. The first we planted here in 2007. Full fruit aroma, black fruits, blackberry and currants, hints of smoke and coffee. Full bodied reds. A dry red blend of 80% Chambourcin and 20% Merlot. Fruit forward with hints of black pepper. A dry- French style Rosé with more of a richness of the two rosés. Hints of creamy vanilla along with a nice dry finish. Made with our Chambourcin grapes, this is a dry French-style Rosé with a fruity aroma of strawberry and raspberry with a nice dry finish. This is an off-dry white wine, meaning slightly sweet. 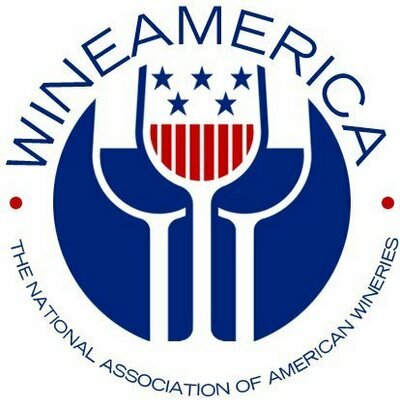 Comparable to Riesling. It is a blend of all our white grapes- Pinot Gris, Vidal Blanc, Traminette and Chardonnay. Fruity, floral and refreshing! Hybrid German grape, very floral aromatic with of magnolia and passion fruit. More body than our regular Vidal Blanc. Chardonnay-like qualities, rich, creamy, slightly buttery while still having light citrus and floral notes. Light and dry. Comparable to a Sauvignon Blanc. Light, crisp citrus notes, hint of grapefruit. *pairs well with seafood and chicken.